A passion for the city of Estacada has led Mayor Sean Drinkwine to seek reelection this November. Drinkwine is the lone candidate for the town's top leadership position in the Nov. 6 election. Along with spending the last two years as mayor, Drinkwine also has eight years of experience on the Estacada City Council. "I have a pretty good knowledge of what we need and how to get it," he said. "I want to get the citizens what they need for their city and protect our city. It's a treasure." 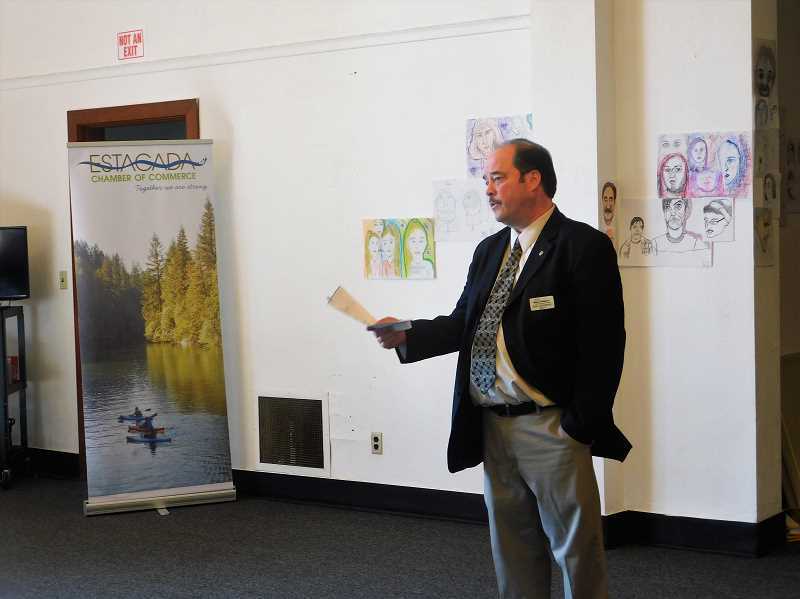 Looking to the future, Drinkwine said he hopes to see Estacada grow at "a healthy speed." "There are new houses, but there also needs to be green space and parks. It's important to keep that small town feel," he said. He also hopes to see cross laminated timber businesses and natural gas make their way to Estacada. He added that cross laminated timber is valuable because of the town's history in the lumber industry. "We have a lot of timber people here, and we want something that they can do," he said. "(With CLTs,) they can do what they've always done. It brings the old jobs back." Drinkwine looks forward to collaborating with other leaders in the city, including Estacada School District Superintendent Ryan Carpenter. He added that he is interested in working to help achieve Carpenter's vision for the school district. Drinkwine also hopes to work with leadership in the Estacada Rural Fire District as they make decisions for their future. "If they'd like me at the table, I'd like to sit down with them and discuss what fits best," he said. Drinkwine also plans to continue focusing on safety and is eager to collaborate with the Clackamas County Sheriff's Office once they begin law enforcement operations in Estacada in October. "The end goal is to always get our own police department, but working with the county along the way is very important," he said. "I think people are going to be very happy with what we get (with the county)." In downtown Estacada, Drinkwine is happy to see new businesses in operation. "There are new shops on either side of City Hall," he said, in reference to Yo Treats Frozen Yogurt and Dollar General. Drinkwine's favorite part of living in Estacada is "walking out the front door." "You see forest on one side and houses on another," he said. "A river runs through the downtown core, and there are wonderful people. Everything that's here is all you could hope to have the opportunity to live in." He is eager to continue serving Estacada. "I'm in love with this city," he said. "I'm in love with everything about it, and the people in it."